I usually don't look much beyond my periphery when driving—nervous nelly perhaps. At a stoplight however, I glanced over to a sidestreet up in Mt. 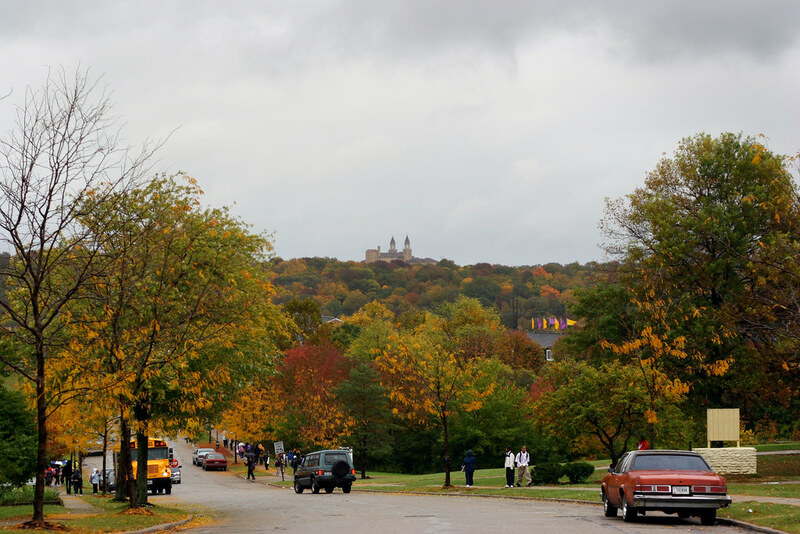 Airy and was just sorta taken aback by the panorama, fall spectrum, and a building I'd never seen. Zoom in, you can see it better.